According to a Kotaku report citing “two people familiar with the game’s release plans,” Crackdown 3 has once again been delayed—this time out of 2018 entirely. Crackdown 3, now set for a 2019 release, has long been burdened with troubles and delays, so this is not surprising but is unideal to say the least. Microsoft and Xbox’s first-party line-up of big AAA releases has been near-dormant since 2016’s Gears of War 4 —the yearly Forza racing games are big but skew more niche—and Xbox genuinely needs some big AAA exclusives to keep Xbox users content with their system of choice, as well as to entice new players to the platform. The reported delay of Crackdown 3 further exemplifies this problem. 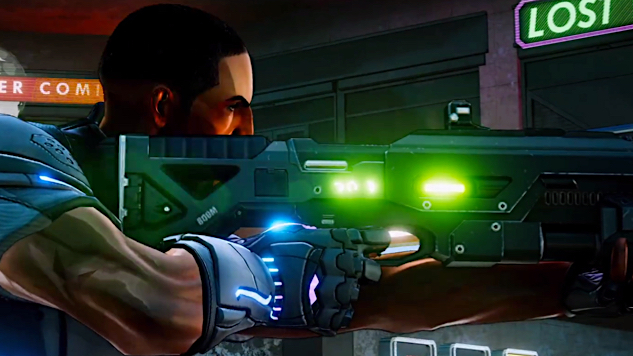 Crackdown 3, developed by Sumo Digital, was first announced at E3 2014 and set for release in November of 2017. But it then slipped into 2018 and now keeps sliding. Xbox’s first-party line-up for the rest of the year is already somewhat scant and this delay just makes that even more apparent. The releases of Sea of Thieves and State of Decay 2 aside, planned Xbox exclusives for 2018 are looking spotty at best. E3 starts next week and hopefully, during the Xbox showcase, more will be learned about Crackdown 3 and the state of Microsoft’s first-party line-up for the rest of 2018. The Microsoft E3 conference takes place this Sunday, June 10, at 4 p.m. ET. Until then, check out the Crackdown 3 trailer from E3 2017 below.